Cookies & Cream - Yummy chocolate sandwich cookies with a creamy frosting center! Got Milk? You will want a cold glass after you smell this! 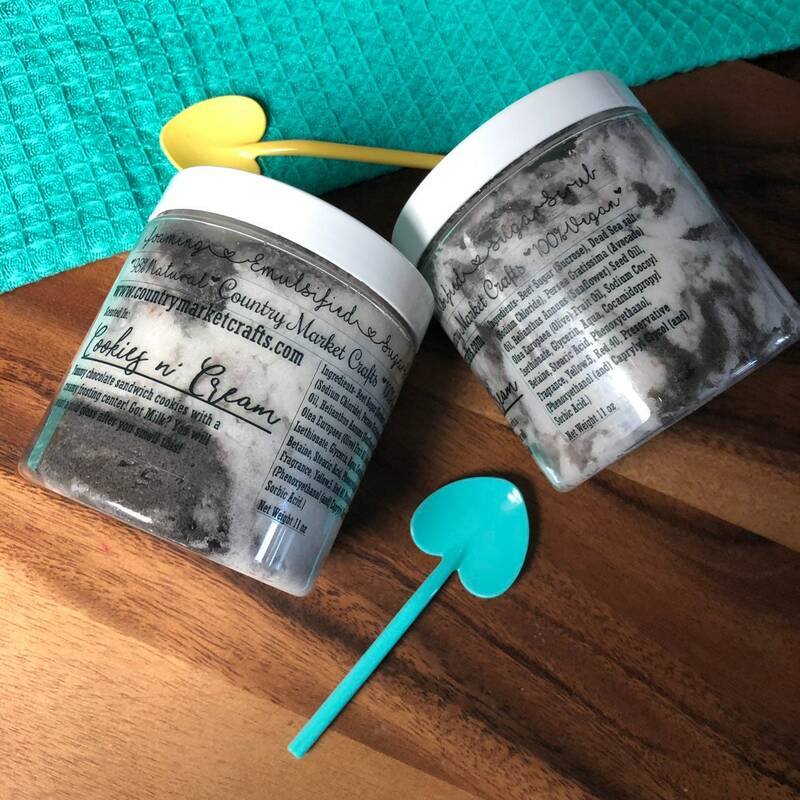 The Cookies & Cream Emulsified Sugar Scrub is something different. The reason why I gave it 4/5 stars is essentially because of the scent & coloring. 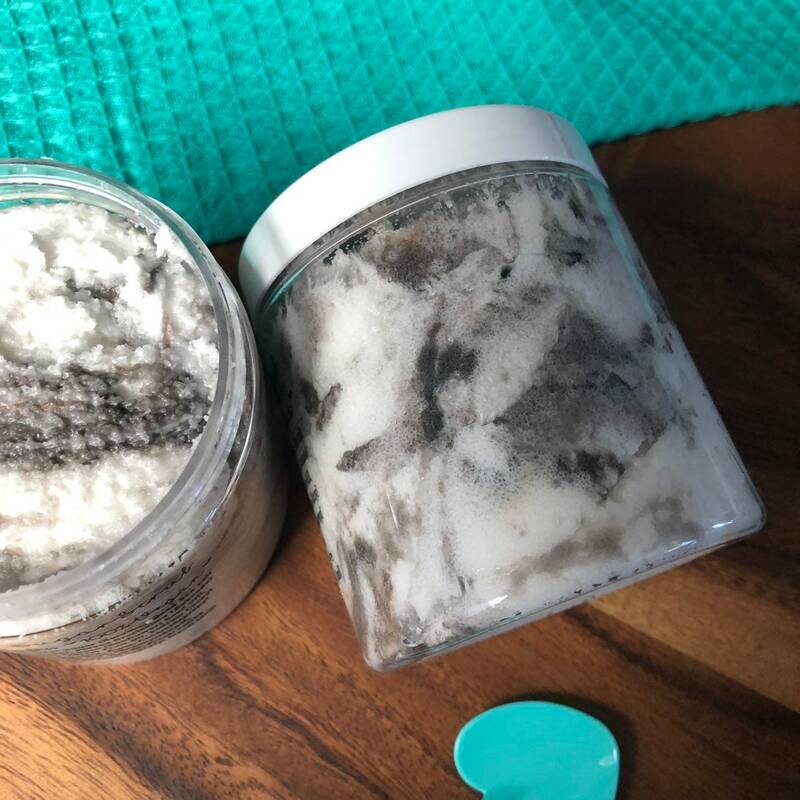 The coloring from the black turns green & the scent smells more of coffee (I based the scent primarily on the Cookies & Cream Toasty Bubble Bar she has). On the good end, it does what it is suppose to do & exfoliates really well & leaves my skin very smooth & fragrant. 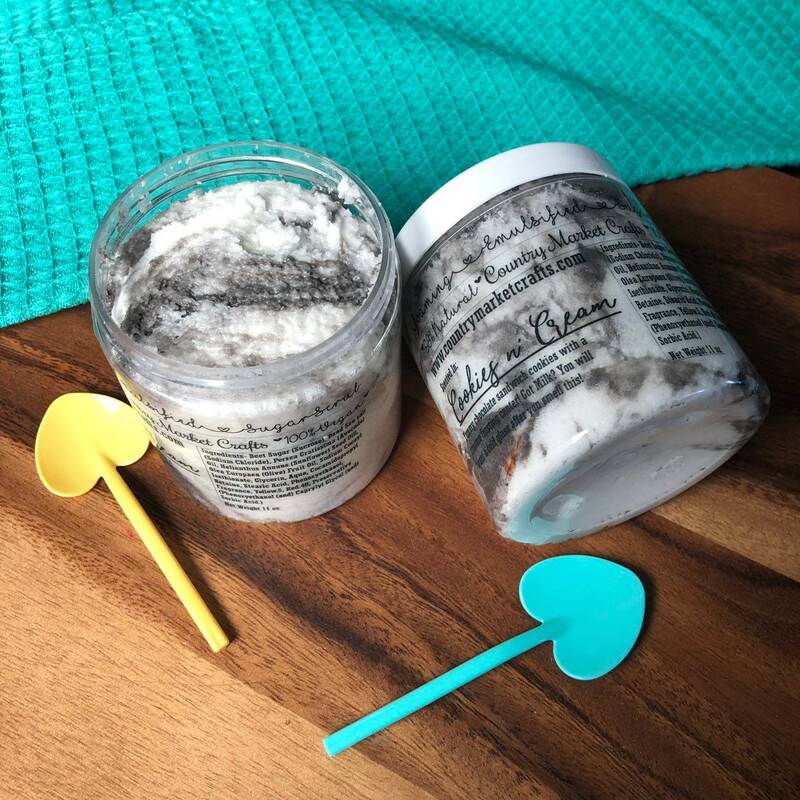 If you love the scent of coffee, you’ll love this product! 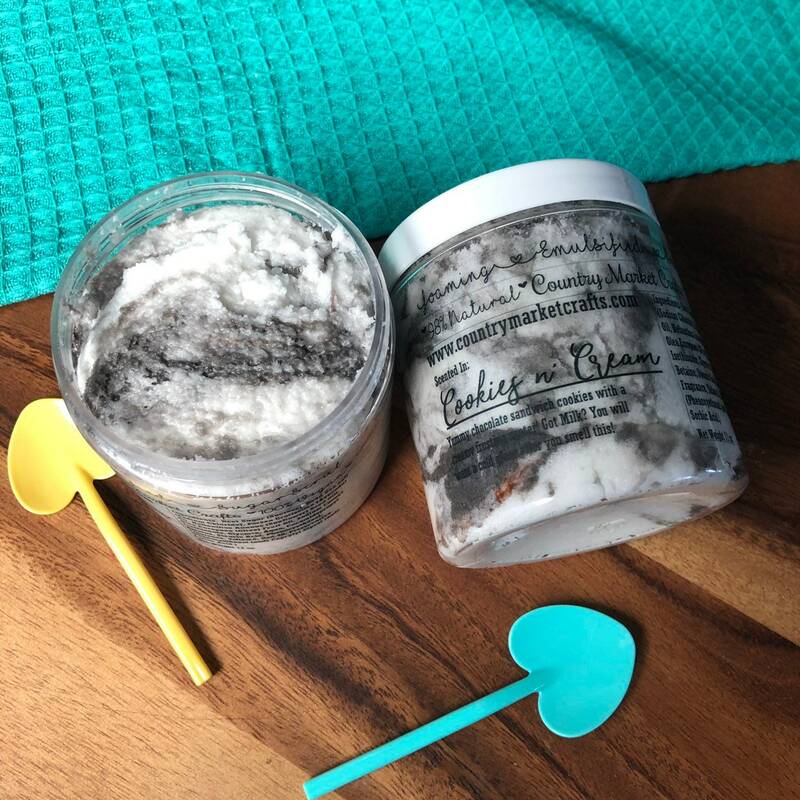 (I’m just not crazy about it, but the whole line of emulsified sugar scrubs are AMAZING! 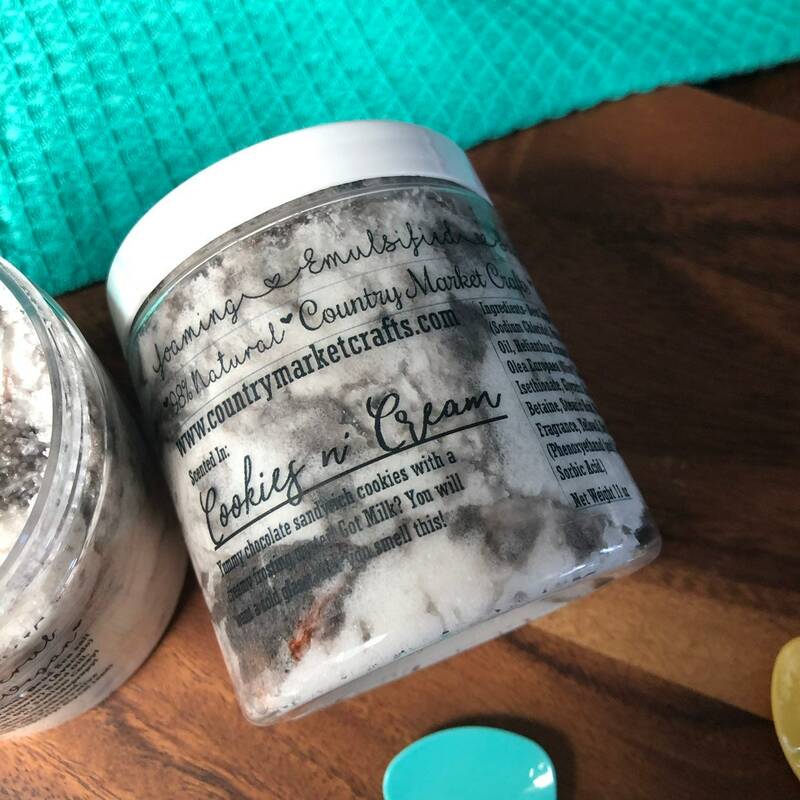 It reminds me more of a tootsie roll kind of scent that is personally not a favorite candy of ours, but I love how smooth our skin feels after using it. My daughter uses the scrubs when she makes little potions in the bath. I think blueberry nilla is our absolute favorite of the ones we got! The other being pastel peeps. Completed unexpected haha, but that one makes the bathroom smell absolutely amazing!